An important way we can pass along value is to help students discover the hidden, but outstanding, University options available to them. Most of us are familiar with the provincial University that a family member or friend attended. Beyond that, few of us know what options are available, or which schools may be a great fit. This is particularly true for those in the northern half of our country, often without local options, or international students considering Canada. Many of these lesser-known schools have outstanding student and alumni satisfaction ratings. Larger Universities cannot offer the small class sizes and one-on-one time with faculty. Yet, these Universities are rarely mentioned in the media and few are evaluated by the University ranking bodies. 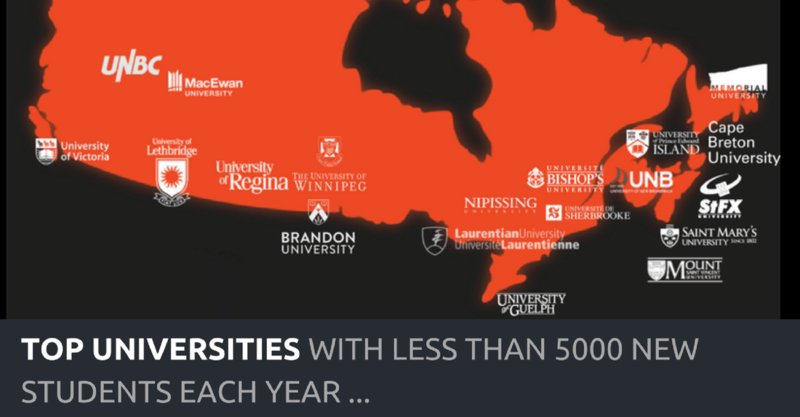 So we set out to shine a spotlight on the smaller Universities across Canada, that are too often overlooked. An average 1st year and 2nd year class size below 75 students or a student/faculty ration below 35 (incomplete data required multiple measures). 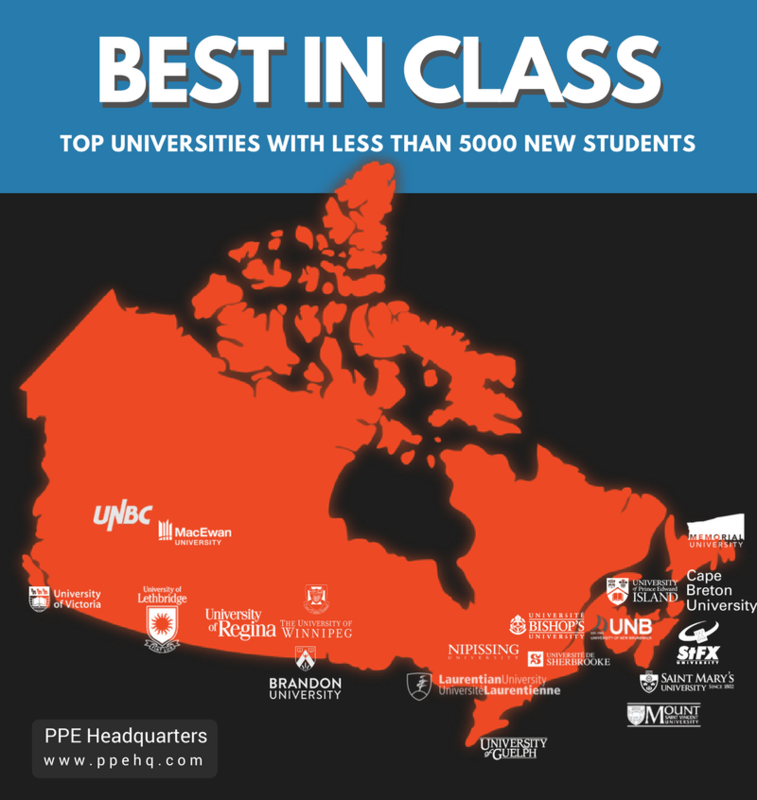 A Top 15 Student Review ranking from McLean’s Students’ Favourite Universities in Canada. Public information from each Canadian Universities such as 6 month and 2 year employment data. Please include a link to PPEHQ.com with this graphic.